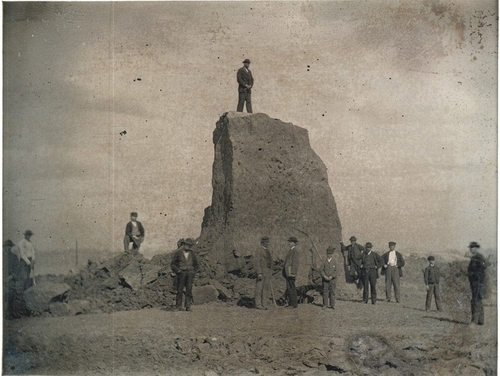 Description: Many men and some boys stand on top of and in front of the Big Mound during its destruction. This is the last of the Big Mound; only a small portion remains standing. One boy holds a pickaxe that is lodged into the mound.